Anyways, on with the pictures! These are some colorful cakes I made at work. I am trying a new method for the texturing that hopefully makes them look more realistic. 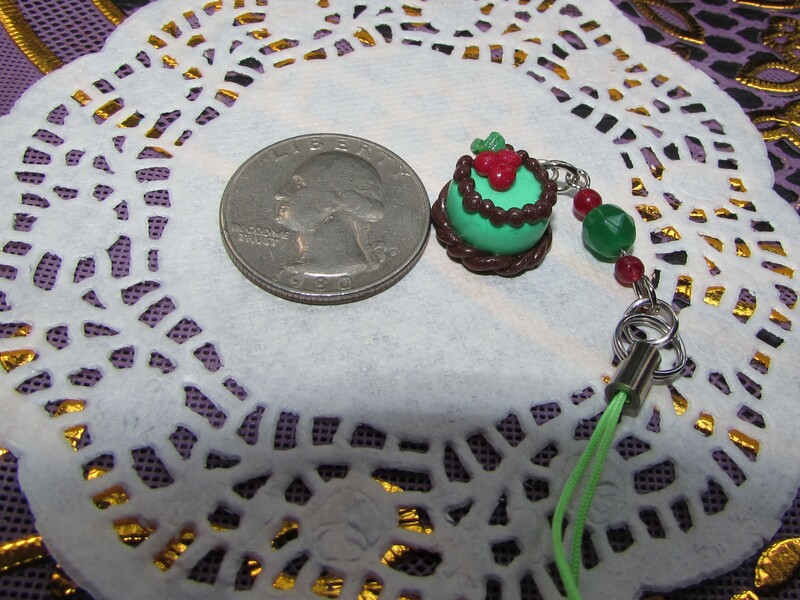 They are tiny charms, smaller than a quarter. 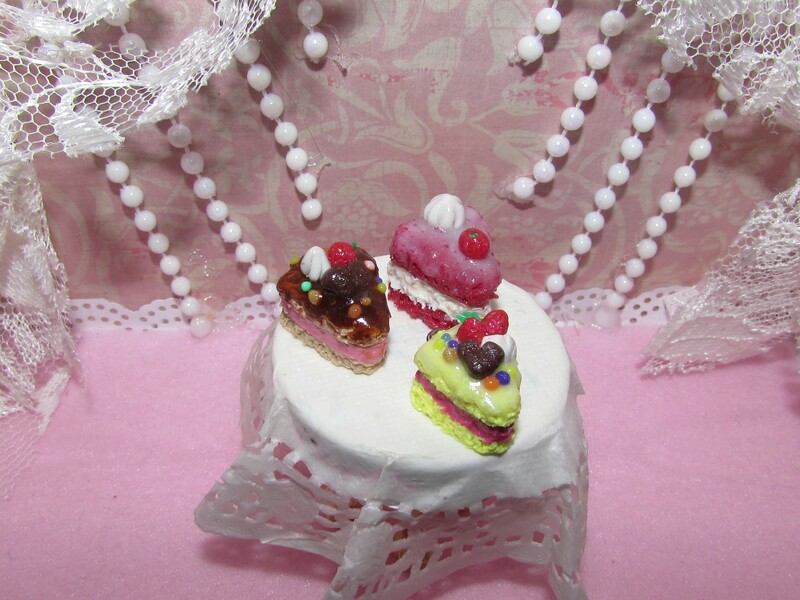 Sandwich cakes are so much fun to make, I just love them. 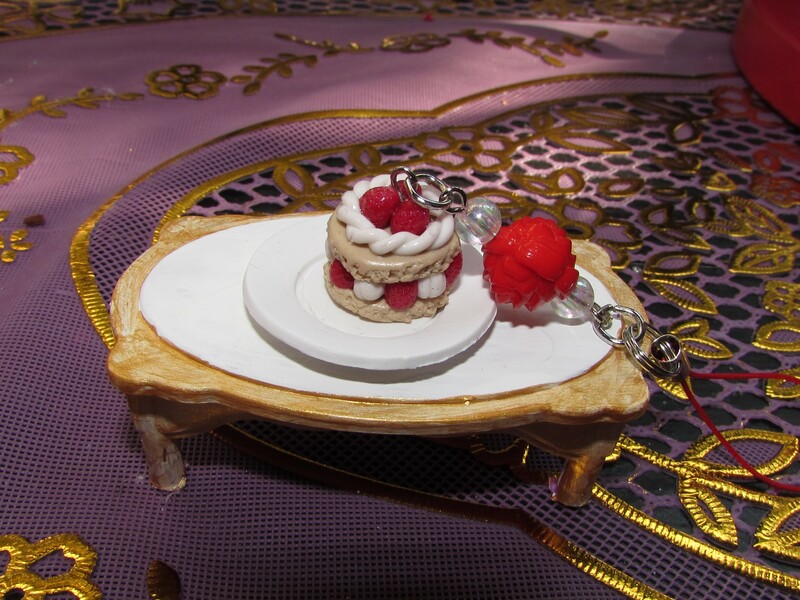 Oh, I made the plate too, and the table is a repainted dollar store dollhouse furniture piece. This is a mint chocolate cake with cherries on top. I can’t stand real cherries, but they are very easy to make, hehe. Honestly can’t decide if this piece would sell or not, so it’s just kind of floating around my work area like a lost puppy. 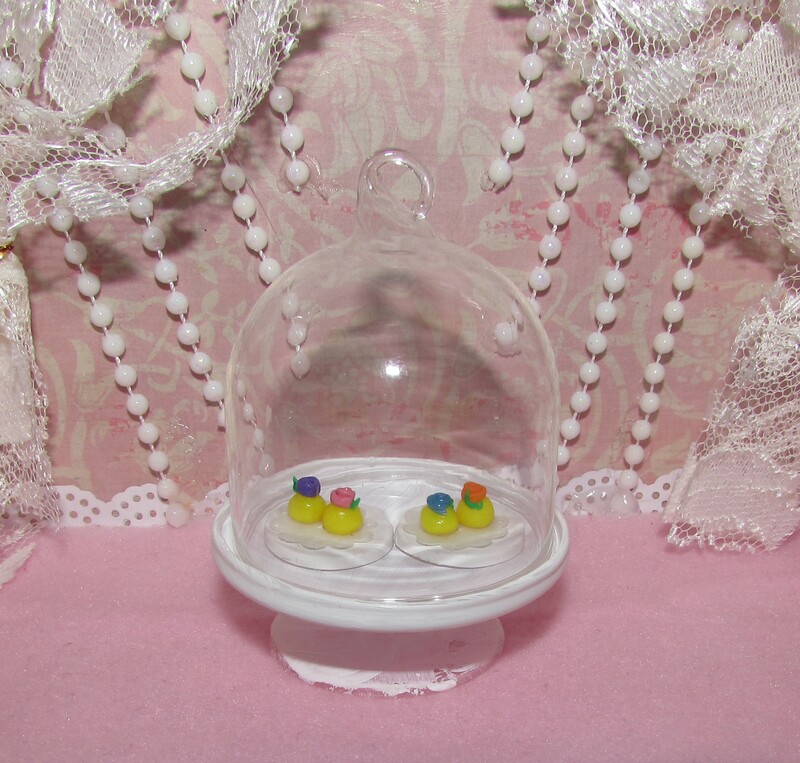 These are tiny little candy sweets for tea time. I really just wanted to make something small and yellow at the time. 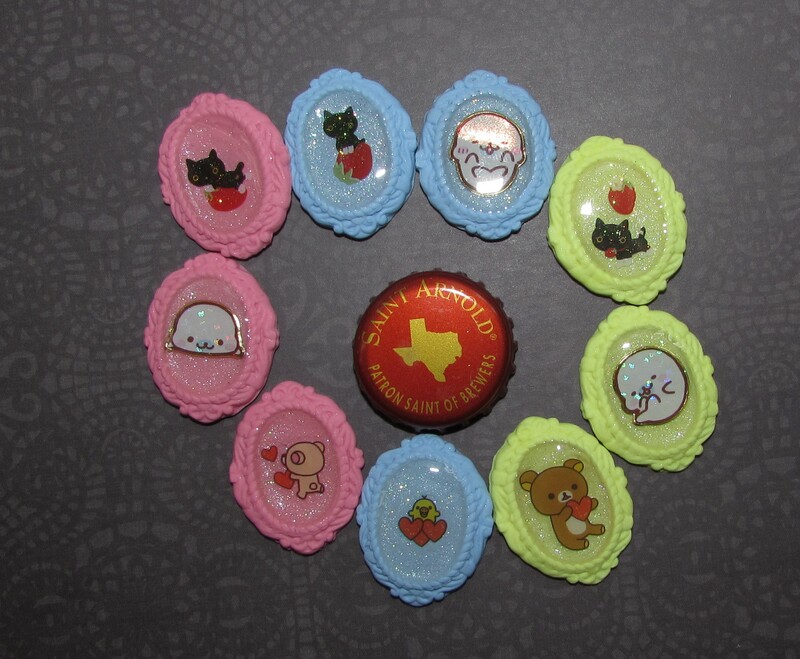 The doilies were also made by me. Though they are quite fragile, it’s nice to have a method for creating my own miniature doilies. 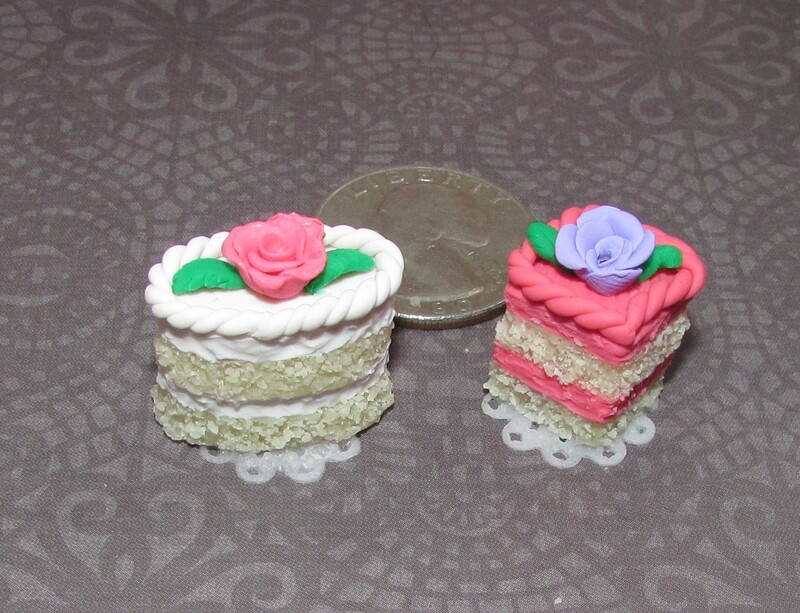 These were made with a ton of translucent clay mix with a tiny bit of yellow-y tan, to get that real live cake look. They are up for sale in my Etsy store right now, probably not for long though! 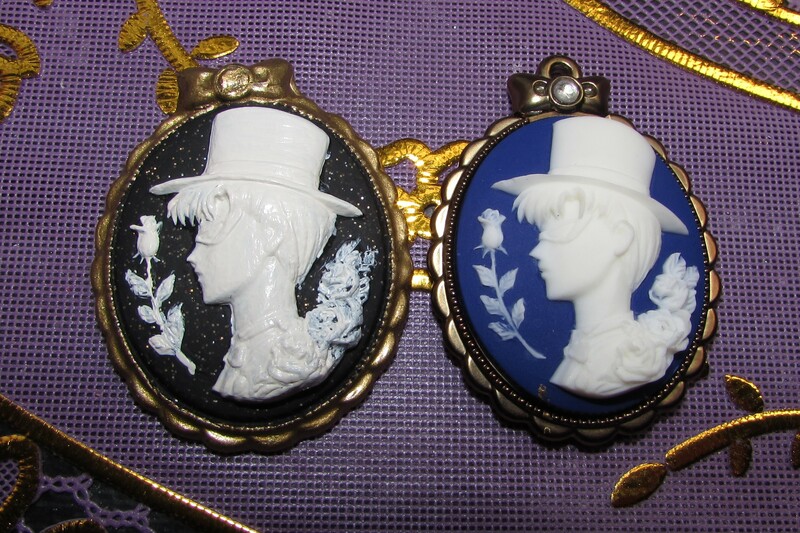 This Is the same method as the above picture, but with Tuxedo Mask. Eventually I will have replicated the entire set of 7 total. 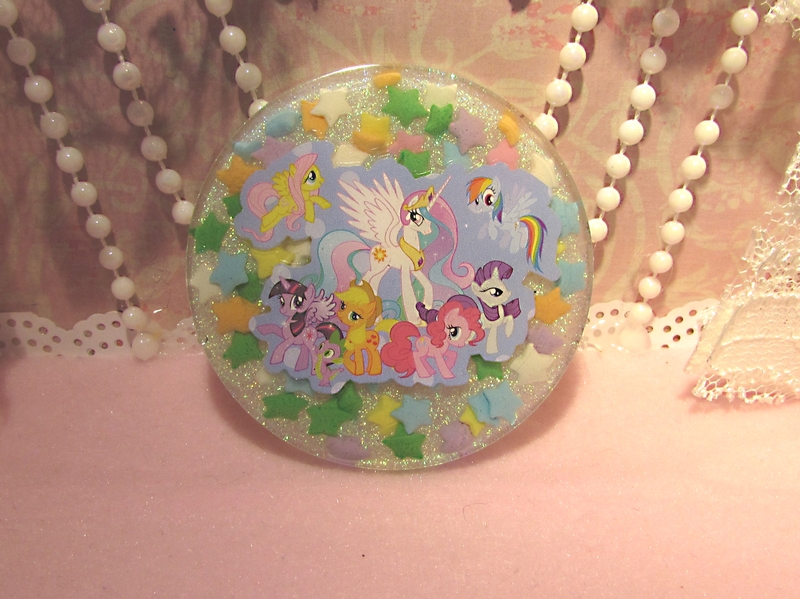 This is one of many, many My Little Pony resin pieces to come. The stars inside are candy sprinkles. ^-^ I have actually been making a ton of resin lately, and I thought I had more pictures, though that seems not to actually be the case. 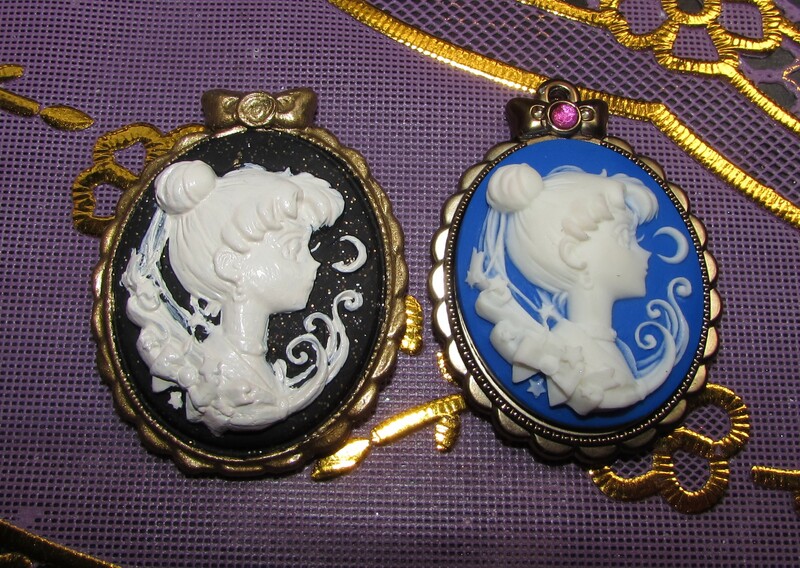 In the future I will do an all resin post. I’ve got some neat tricks up my sleeve, wait till ya see ’em! Now that I am all nostalgic from listening to 90’s anime music while writing this post, it’s a good time to kick back and watch Get Backers! Have a nice day everyone and stay tuned for the next Chibi Act – Sailor Mercury!